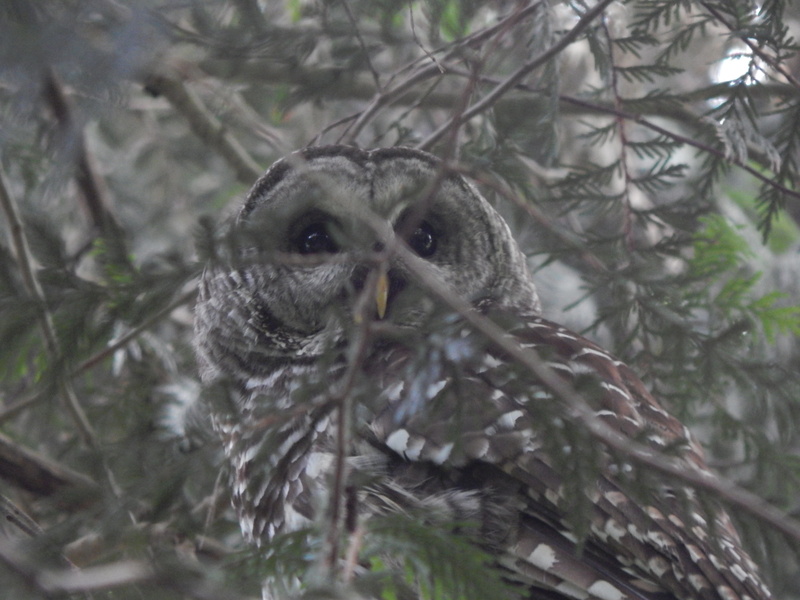 I saw the Elusive OWL!!! 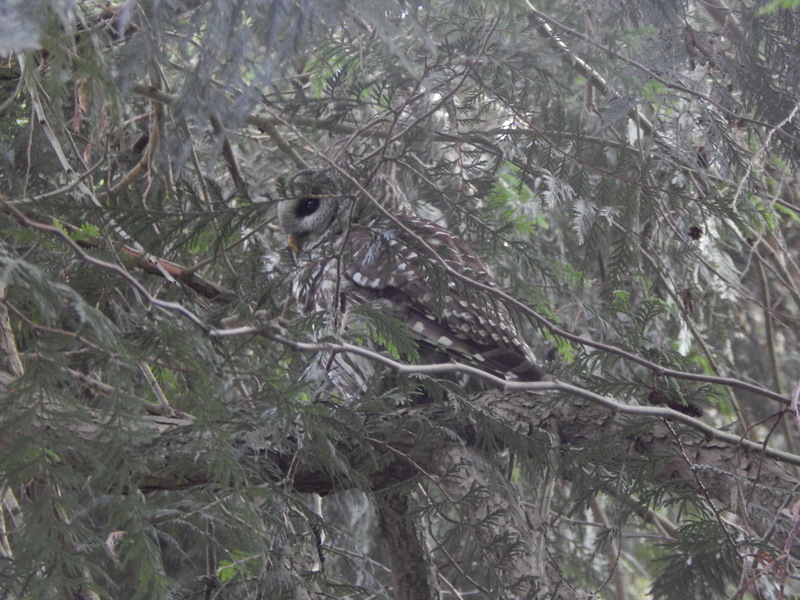 The Owls of Fauntleroy Park do exist. In over 25 years of looking and watching I can count on one hand the number of times I actually saw them. It started as I entered the woods and heard a crow cawing his head off on the edge of the forest. I traveled down to the trail above the enchanted cedar grove. The crow was to the south and up the gentle hill from the main grove. 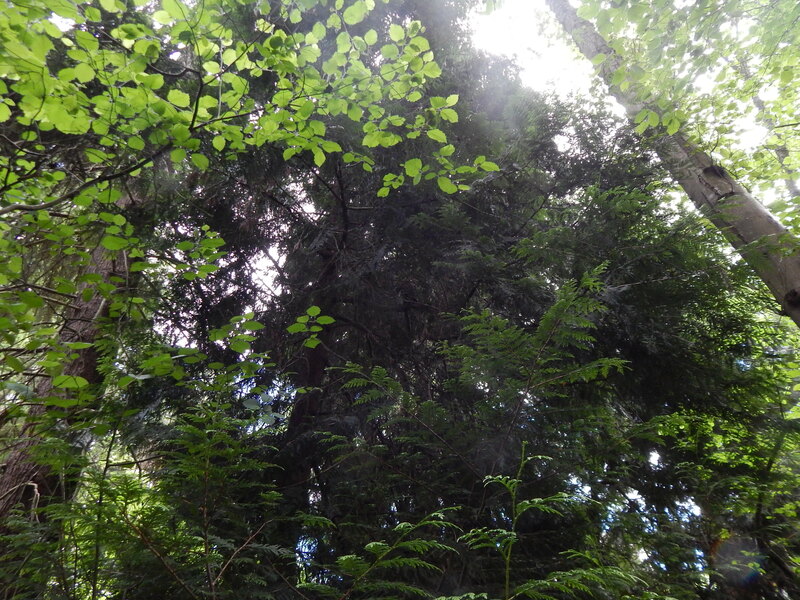 This is still cedar forest but it is full of northwest brush – giant ferns, oregon grape and other bushes. After wading thru this with a stick to knock down the spider webs, I finally saw the two crows. 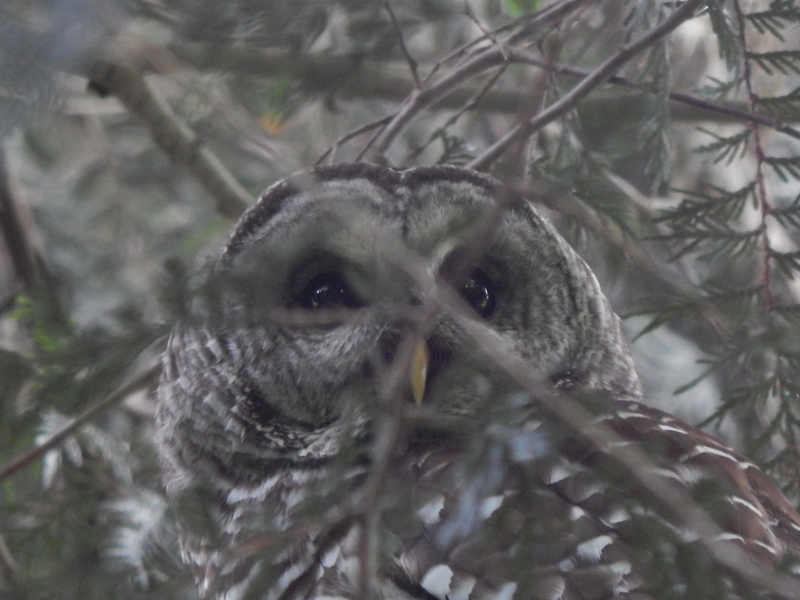 They were pretty low in the evergreen trees. That is a good sign for sighting anything. They came and went and then finally as I got closer I saw a shadowing figure in the tree. 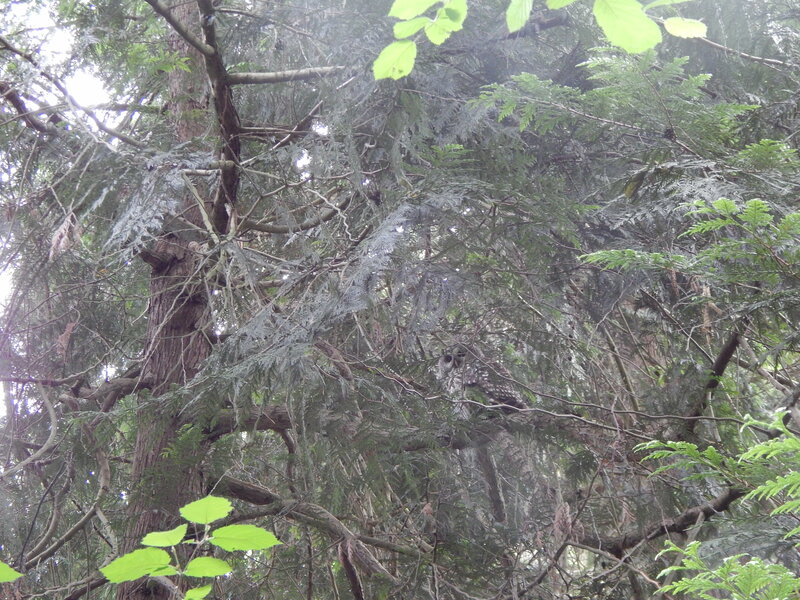 Check out this photo and see if you can see the owl. 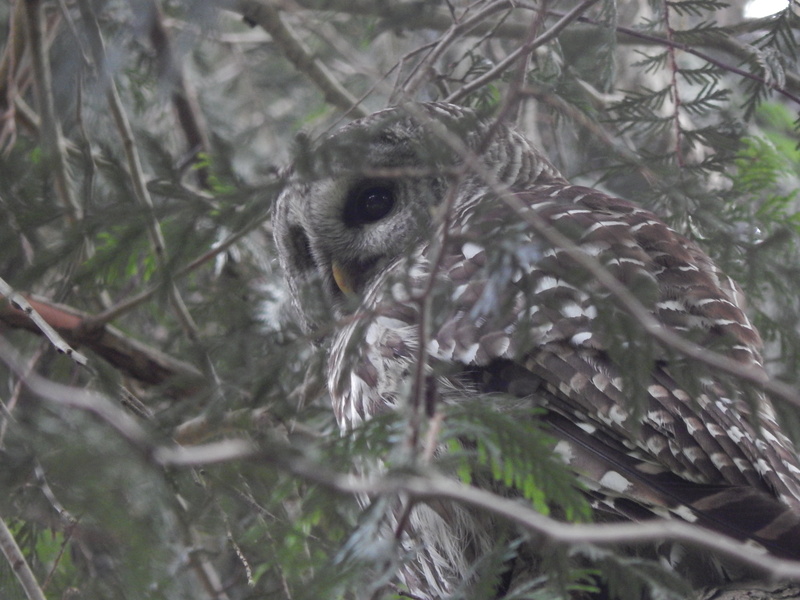 I am getting closer to the owl now by climbing thru brush. He knows I am here and gave me the “who” are you look. Wise eyes staring at me! ← There’s a Coal Mine under my Freeway!